Indian Air force (IAF) has invited applications from Male unmarried Indian citizen to join their Meteorology Branch as Short Service commissioned or permanent commissioned officers. 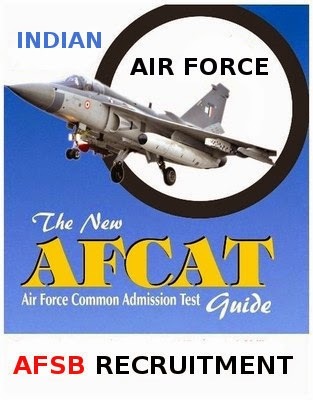 IAF is conducting Selection for following courses which starts on July 2015. The successfully cnadidates will serve Indian Airforce as permanent commissioned officers (till age of superannuation) or Short commissioned officers (10 years + 4 years extension). Selection process : Shortlisted candidates will be called for AFSB interview at any of the AFSB centers at Dehradun, Varanasi, Gandhinagar or Mysore. There will be intelligence test, screening test , group test, psycological test , interviews the SSB interview followed by Medical examination at AFCME Newdelhi or IAM Bangalore. AFSB recommended and medically fit candidates will be selected for training. Superscribe the envelope with " APPLICATION FOR METEOROLOGY BRANCH COURSE COMMENCING FROM JULY 2015 "